Eric Armacost joined the Small Business Administration as a lender relations specialist in 2012 and has enjoyed building relationships with lending institutions and providing technical assistance and training to borrowers, lenders, and resource partners. Eric brings more than sixteen years of banking and financial services experience and expertise to the SBA and calls on the skills he gained at Merrill Lynch, JP Morgan and the US Navy to provide an outstanding client experience. Eric also serves as the SBA Indiana District International Trade Officer in support of increasing exports from Hoosier small businesses and relishes the opportunity to work with the military veteran entrepreneur community in Indiana. John Baptista Jr. has firsthand experience in both the commercial world of finance and as a business owner, bringing theory and the real world together. His goal is to present topics in an informal but informative manner making it more enjoyable and easier for everyone to stay focused and engaged. He uses his ‘real world’ examples to emphasize key points. John states, that the motto of his company Impact Training & Consulting is, ‘Training That Makes A Difference’. He is an alumnus of the University of Southern California and the University of San Diego. Marcie Bomberg, senior manager at Wipfli, brings over 25 years of experience in executive leadership roles in both financial institutions and private enterprise. Her wide range of experience includes advising traditional regulated financial institutions, bank holding companies, community development organizations, and financial technology (FinTech) companies on mergers and acquisitions, strategic analysis and plan implementation, capital planning, and innovative product and service development. Marcie’s previous experience includes serving as EVP for a community bank, founder and CEO of a consulting firm focused on serving FinTech companies, and CEO of a Software as a Service (SaaS) company focused on document management. She is a faculty member of the Graduate School of Banking at the University of Wisconsin, and an advisory board member for the commercial banking program at Marquette University. Marcie is a graduate of the University of Wisconsin-Stevens Point and the Graduate School of Banking at the University of Wisconsin-Madison. Wipfli is an IBA associate member. Michael Carpenter, CAMS, NCRM, NCCO, is a risk solutions architect at Ncontracts with 20 years of expertise in all facets of risk management. He has built and run programs such as Enterprise Risk Management, Board of Director training/reporting, BSA/AML, ID theft and red flags, information security, compliance management systems and more – making him an indispensable resource in helping bankers understand the need, as well as providing support for the application of best practices, for all aspects under the risk management umbrella. Ncontracts is an IBA associate member. Jeffrey F. Caughron is a managing director with The Baker Group where he serves as president and CEO. Jeffrey has worked in financial markets and the securities industry since 1985, always with an emphasis on banking, investments, and interest rate risk management. He previously served as the chief operations officer of the firm and has been director of asset/liability management since 2008. Caughron has served on the faculty of several banking schools and earned a bachelor’s degree from the University of Oklahoma. The Baker Group is an IBA Preferred Service Provider and associate member. Jeffrey W. Davey, a manager at Wipfli LLP who specializes in loan review services for the risk advisory group of Wipfli LLP’s financial institutions practice. He works with financial institutions to provide customer-focused risk management services. Jeff has more than 25 years of experience in commercial and agricultural banking and is a graduate of Illinois State University, the University of Illinois, and the Stonier Graduate School of Banking. Jeff is also a CRC and a faculty member of the Risk Management Association. Wipfli LLP is an IBA associate member. Dave DeFazio is a partner at StrategyCorps and works with bank clients to design, build and implement a variety of checking, marketing and training programs. He develops consumer sites and mobile apps that deliver value to bank customers as well as analysis tools that allow clients to have a deeper understanding of customer relationships and product profitability. His extensive financial services experience and continuous research in the field ensures each product and service he provides meets the needs of today's retail bankers. DeFazio has a bachelor’s degree from Ohio Wesleyan University. StrategyCorps is an IBA associate member. Steve Doan is the member research and strategies director at Federal Home Loan Bank Indianapolis, where his team conducts research and develops strategies and tools to help members better utilize FHLBank products to manage their funding and balance sheet management challenges. He has been with FHLBank Indianapolis for 4 years and previously was the treasurer of a community bank for over 20 years and also served as a senior investment officer in wealth management. Steve holds a bachelor’s and master’s degree from Ball State University as well as Chartered Financial Analyst (CFA) and Certified Financial Planner (CFP®) designations. FHLBank Indianapolis is an IBA associate member. William Donnelly is a Bank Examiner with the Office of the Comptroller of the Currency in the Cincinnati field office. He examines the compliance functions of community and mid-size banks in the Midwest, with particular emphasis on BSA/AML compliance. Donnelly joined the OCC in 2015 and has extensive industry experience in bank compliance. He previously served as a commissioned examiner with the Federal Reserve Bank of Cleveland and is currently serving on a rotational assignment in BSA policy for the OCC in Washington, DC. Donnelly earned a bachelor’s degree from the University of Notre Dame and a J.D. from the University of Cincinnati College of Law. Geri R. Forehand, CPCM, is president of Forehand Strategy Group, LLC, having recently served as national director of strategic services for Sheshunoff Consulting + Solutions and executive director of The Affiliation Program. Geri has over 35 years of financial institution experience with his employment as a banker as well as a consultant., and his consulting work focuses on the areas of strategic planning, capital planning, succession planning, profit planning, performance measurement, and executive compensation. Bryan Freeman, marketing director of HT Mobile Apps, has over 20 years of marketing and banking experience. Prior to joining HTMA, he served as marketing ofﬁcer at a Michigan based community bank and led the marketing departments for a variety of companies helping these companies enhance their brand image, modernized their marketing organizations, remodeled marketing strategies, and drove expansive growth in lead generation and customer acquisition. For the past year, he has led the FinTech’s marketing strategies to launch their next product innovation, Plinqit. Plinqit helps digital customers save money for speciﬁc goals using an automated mobile experience that makes it fun, educational, rewarding and social. Richard Garabedian, counsel at Hunton Andrews Kurth, has more than 35 years’ experience representing banks, savings institutions, credit unions and holding companies on a nationwide basis. In addition to his general work, Richard focuses on bank and credit union charter changes, new products and services, fintech, regulatory compliance, de novo bank and credit union formations, cross-industry mergers, government assisted acquisitions of failing financial institutions, enforcement matters, corporate governance, stock and mutual holding company formations and mutual-to-stock conversions. Richard is admitted to practice in the US Supreme Court. He previously served as counsel at the Federal Reserve Board and is also as an adjunct professor of banking law at Rutgers University School of Law. Sarah J. Gibson is founder of Accent Learning and Consulting, a firm focused on enabling teams to have conversations that matter so people can thrive. Sarah’s book, Geezer. Punk. Whatever. has been used by individuals and organizations to navigate the impact of generational differences in the workplace. She articulates the underlying patterns and concerns holding teams back and gives people tools and language so they can create environments of trust and accountability. Sarah holds a master’s degree from North Dakota State University and has also taught for the University of Wisconsin-Madison evening MBA program and as an adjunct instructor at Madison College, UW-Whitewater and North Dakota State University. Steve Gilliland is a speaker, author and businessman. As a member of the Speaker Hall of Fame for being a master storyteller and brilliant comedian, he can be heard daily on SiriusXM Radio’s Laugh USA and Blue-Collar Radio. In addition to his speaking career, Steve is an accomplished author with three of his books making the publisher’s bestseller list and being named Author of the Year. His books, CDs, DVDs and articles have been used in small businesses to influence people’s lives by identifying practical lessons that grow people and their businesses. Steve also built a multimillion-dollar company from the ground up with his motto of “If you take care of people, the business will follow.” He has a bachelor’s degree from Grove City College (PA) and a masters from Glove University (MN). Thomas W. Grottke, Performance Improvement Consulting – Banking Industry, managing director at Crowe LLP, has over 33 years of experience assisting public and private companies large and small in the financial services industry as an advisor or auditor. He was CEO of his own advisory services practice until joining Crowe in 2018 and prior to starting his own practice, he was the lead audit partner, consulting partner or executive on hundreds of banks, thrifts, credit unions and investment services companies while with his previous employers KPMG, LLP and Arthur Andersen & Co. Tom has a bachelor’s degree from University of Connecticut. Crowe LLP in an IBA associate member. Robin Guthridge, CAMS, CRCM is senior manager-compliance for Wipfli LLP and has a strong background in Bank Secrecy Act (BSA) compliance, leadership, sales management, marketing, operations and system conversions. In addition to performing BSA, deposit, and loan compliance examinations for various institutions, she develops and presents BSA workshops. Prior to joining Wipfli LLP she served as vice president/market manager for National City Bank and has over 20 years of banking experience with over 10 years in a senior leadership role. She earned a bachelor’s degree from University of Louisville and has certifications as an anti-money laundering specialist and a regulatory compliance manager. Wipfli LLP is an IBA associate member. Dan Hadaway, CISA,CISM, CRISC, managing partner, Infotex. Prior to founding Infotex in 2000 to serve community banks, Dan’s first experience in IT governance came in the 80s when he wrote his first Acceptable Use Policy (1986) and conducted his first information technology risk assessment (1989). Dan facilitates the annual Indiana Bankers Association Cybersecurity Conference, and speaks regularly at various events, conferences, workshops, and seminars in the Midwest. Published in Banknotes Magazine, the Ohio Record, the Hoosier Banker, and the ABA Bank Compliance magazine, Dan also helped write the original CRISC manual for ISACA. Infotex is an IBA Preferred Service Provider and associate member. Tom Hershberger is founder and president of Cross Financial Group, a consulting firm specializing in sales and marketing support services for community banks. He has been in financial services since 1974, with duties ranging from drive-in teller to community bank president. Hershberger is a faculty member of the Graduate School of Banking at the University of Wisconsin; of the American Bankers Association Bank Marketing School; and of schools of banking in Iowa, Kansas and Nebraska, specializing in sales and management training. He also serves as an instructor for the Independent Community Bankers of America. Gary Huff has been the business development officer at Premier Capital for the last 11 years and has worked with bankers throughout Indiana and Kentucky to identify and close 504 loans. Personally, he has had approved over 275 SBA 504 loans representing over $330,000,000 in projects, virtually all in Indiana. Prior to working at Premier Capital, he was with PNC/National City for 13 years and Chase/Bank One for 11 years, in both the retail and commercial lending area. Gary has a bachelor’s degree from Western Kentucky University. Premier Capital is an IBA associate member. John S. Johnson, chief development officer, of Approval Payment Solutions has reorganized and expanded the company sales force, devised a gold-standard cloud-based training platform and played a key role in the company’s strategic direction. John began his telecom career with Van Ausdall + Farrar, a 100+ year-old Indiana-based office technology provider. After seven years, he left VAF and founded Telemanagement/Systems. In 1998, Johnson merged his company with QComm corporation where he ultimately co-managed the $40MM commercial business unit. He was also a member of the acquisition team, which successfully acquired and integrated five companies into QComm. John received his bachelor’s degree from the University of Southern Indiana. Approval Payment Solutions is an IBA Preferred Service Provider and associate member. Keshia King is a commissioned consumer compliance examiner with the Federal Reserve Bank of Chicago. In her current role as Risk Management Specialist, she provides expert advice to examiners on a range of lending, deposit and operational topics in support of large, regional and community bank exams in Indiana, Iowa, Illinois, Michigan and Wisconsin. She is also responsible for district-wide initiatives related to new mortgage rules, including examiner training, bank outreach, and monitoring emerging risks. King is a graduate of Spelman College and Indiana University-Maurer School of Law. David Klopfer is a CPA with Clark Schaefer Hackett and has spent his entire career serving clients in the financial services industry. He is a leader of the firm’s financial industry group and professionally, when he’s not working with his clients, he is charged with growing the firm’s practice. Dave’s clients often remark how they appreciate his approachability, availability and vested interest in their organization. Dave currently serves on the Boards of The First Tee and The Heritage Club in Southwestern Ohio. He has a bachelor’s and master’s degree from Miami University. Clark Schaefer Hackett is an IBA associate member. Dr. Chris Kuehl is a managing director of Armada Corporate Intelligence. He provides forecasts and strategic guidance for a wide variety of corporate clients around the world. He is the chief economist for several national and international organizations – Fabricators and Manufacturers Association, National Association of Credit Management, American Supply Association, Chemical Coaters Association International and others. Prior to starting Armada in 1999 he was a professor of economics and finance for 15 years and has advanced degrees in economics, Soviet studies and East Asian studies. Chris is the author of Business Intelligence Briefs and contributes to the Black Owl Report - both publications from Armada. He is also responsible for the Credit Manager’s Index from NACM and Fabrinomics® from the FMA. Eugene F. Maloney is EVP and corporate counsel of Federated Investors., and has been employed by the firm for 47 years. He has been responsible for virtually all state legislation permitting public entities to use money market funds to manage their liquidity. Eugene was a member of the board of directors of the Foundation for Fiduciary Studies and was appointed by the U.S. House of Representatives and Senate as a member of the Industry Sector Working Group on Financial Services. For 26 years, he was an instructor at Boston University School of Law, has been a visiting instructor at the Federal Financial Institutions Examination Council and the American Bankers Association’s National Graduate Trust School at Northwestern University, and participates in programs leading to the designation of Certified Trust and Financial Advisor. Eugene received his bachelor’s degree from Holy Cross College, Worcester, Massachusetts, and his J.D. from Fordham Law School, New York City. He also attended Wharton School of the University of Pennsylvania. Federated is an IBA associate member. Tom McGill, relationship manager, Profit Resources Inc. has more than 35 years of banking experience with a track record of solving problems and achieving measurable objectives. In one situation, Tom instituted a retail management development program for high potential associates, contributing to a 50% decrease in associate turnover. His expertise in electronic banking, payment systems, debit and credit cards, product development, customer experience, marketing, and conversions make him a valuable asset to many projects with financial institutions. Profit Resources Inc. is an IBA associate member. Christopher McNulty is president of Merchant’s PACT (Payment Acceptance Consulting Team) and is a 29-year payment industry veteran. He started his payments career at Fifth Third Bank in Cincinnati, OH and later moved to 1st Tennessee Bank in Memphis. Other previous work history includes National Processing Company, Iron Triangle Payment Systems (ITPS), Voltage Security during the earlier days of PCI, and TSYS Merchants Solutions. Chris’ leadership and experience in creating a repeatable sales process to consistently surpass goals coupled with his deep knowledge of the payment industry position him well to help any organization evaluate partnerships, improve performance and drive revenue growth. Lyndsay Miller has served as general counsel at the Indiana Department of Financial Institutions (DFI) since 2017. She began her legal career in Bloomington, IN, and during her seven years in private practice she served as outside counsel for several community banks, with a focus on creditor bankruptcy, foreclosures, and collections, and also taught business law at Ivy Tech Community College. After leaving private practice, she worked at the Wisconsin Attorney General’s office monitoring compliance with the National Mortgage Settlement on behalf of Wisconsin constituents, and served as the Associate General Counsel for Minnesota’s credit union trade association with a focus on compliance. Lyndsay received her bachelor’s from Indiana University-Bloomington, along with a business certificate from the Kelley School of Business, and JD from Mitchell Hamline School of Law in St. Paul, Minnesota. She is licensed to practice in Indiana, Wisconsin, and Minnesota. Sarah Noll Wilson is an executive coach, keynote speaker, transformer of teams, researcher, and soon to be author. She helps people close the gap between what they intend to do and the actual impact they make as she focuses on the true and evolutionary behavior of relationships. She specializes in building, rebuilding, and healing teams by creating a safe, honest environment, preparing people to deal with real-world conflict, have more meaningful conversations, and create purposeful relationships. Sarah holds a bachelor’s degree from the University of Northern Iowa and a master’s from Drake University. Paul R. Osborne is a partner at Crowe LLP, in the Financial Services Risk Practice and has over 30 years’ experience in the banking industry, mostly with large multi-state bank holding companies. He is responsible for directing the development and support of regulatory advisory services, including corporate governance, internal controls, enterprise risk management, consumer compliance, BSA/AML, and terrorist financing risk assessments. Crowe is an IBA associate member. Jon Palmer joined the Federal Deposit Insurance Corporation in 2014 as a mid-career compliance examiner in the Indianapolis field office. Prior to joining the FDIC, he spent a combined five years as a compliance examiner with the OTS and OCC. He obtained his compliance commission in 2011 and has served in leadership roles of bank examinations ranging from $5 million to $20 billion in total assets. He has examined banks in less than satisfactory condition, conducted complex fair lending reviews, assisted with large bank CRA evaluations, and recently completed a review examiner detail in the Chicago regional office. Jon earned a bachelor’s from Purdue University. Tim Pannell is president and CEO of Financial Marketing Solutions (FMS) and FMS Social. He has 30 years of experience implementing branding, strategic marketing and social media campaigns for banks throughout the nation. Tim advises financial institutions on corporate strategies and marketing as it relates to the changing landscape of the banking industry. Prior to founding FMS, he served as vice-president and executive director of the financial services division of a Nashville-based marketing communications agency, creating and defining the department into the precursor of FMS. Tim is a graduate of the ABA School of Bank Marketing. Dr. Thomas J. Parliment, chairman and CEO of Parliment Consulting Services, Inc., is an economist and has served as commercial banker, investment banker, consultant and educator to the financial services industry over the past 40 years. He is noted throughout the business community for his often humorous and always thought-provoking point of view in his speeches and articles covering a wide range of financial and economic issues. Formerly a professor of economics at the University of Wisconsin, Dr. Parliment earned his bachelor’s, master’s, and Ph.D. from the State University of New York. Scott Polakoff, CAMS, is executive vice president at FinPro, Inc., having joined in 2011 after more than 25 years of bank regulatory service that started at the FDIC. From there he went to The Boeing Company, Chicago, IL, served as the COO for the Office of Thrift Supervision, and as a principal at Booz Allen Hamilton. Scott earned a bachelor’s degree from West Chester University, and is a graduate of the Southwestern Graduate School of Banking at Southern Methodist University, the Federal Executive Institute’s “Leadership for a Democratic Society” and the Management Certification Program at Loyola University, Chicago, IL. He has obtained his Series 24, 79, and 63 FINRA licenses. Carl G. Pry is managing director of Treliant Risk Advisors, versed in banking law, corporate finance and regulatory compliance experience in Fortune 500 institutions, regional banks and industry consulting firms. He advises clients on commercial compliance, fair lending, corporate Treasury and risk management; is a columnist for ABA Bank Compliance and ABA Bank Marketing magazines; speaks for numerous banking, compliance and state bar associations; and is an instructor at examiner schools of the Federal Deposit Insurance Corp. A certified regulatory compliance manager and certified risk professional, Pry earned a bachelor’s degree from Bowling Green State University and MBA and JD degrees from The University of Toledo. Kendra Ramirez, digital leader at Kendra Ramirez Digital Agency, has spent more than 15 years in technology companies as a change agent in sales, marketing and recruiting leadership for B2B customers. Kendra is globally recognized on the home page of LinkedIn.com, is a John Barrett Entrepreneur Vision Award recipient, an AMA Marketing Legend and a finalist for the Social Media Innovator of the Year. Since 2005, she and her team have helped hundreds of organizations, including Fortune 500 companies, extend their marketing and recruiting initiatives to get real results from their digital efforts. Steven Reider is the founder and president of Bancography, a firm that provides consulting services, software tools and marketing research to financial institutions across the United States to support their branch, product and brand positioning strategies. He brings 25 years of experience to his role at Bancography, having previously served as vice president in corporate marketing at AmSouth Bank, where his responsibilities included delivery network planning, branch and ATM profitability analysis, market and demographic research and customer segmentation models. He has written articles for the American Bankers Association’s Bank Marketing magazine and website, The Financial Brand website and American Banker. Steve serves on the faculty of the American Bankers Association’s Stonier Graduate School of Banking and holds a bachelor’s and a master’s degree from Tulane University. Timothy Reimink is managing director for Crowe LLP, and has been with the firm for 14 years, assisting clients with operational process improvement, strategic planning, technology planning and compensation. Reimink also is responsible for the firm’s financial institution benchmarking database, including its annual branch performance benchmarking survey and annual compensation and benefits survey. He has 25 years of financial institution industry experience, with expertise in commercial lending, branch networks, small business banking and corporate planning. Reimink earned a bachelor’s degree from Kalamazoo College and an MBA from Northwestern University. Crowe LLP is an IBA associate member. Jeff Rendel, CSP is president of Rising Above Enterprises, a company that works with financial services providers that want entrepreneurial results in sales, service, and strategy. With experience as a federal banking regulator, financial services executive, and Congressional lobbyist; Jeff understands the balancing act of safety, soundness, sales, and strategy. As a federal banking regulator with the OCC, Jeff examined a wide array of the nation’s banks and partnered with all levels of executive management. As a financial services executive, he oversaw the strategic operations of a community bank, directing corporate initiatives and helping guide the bank to record growth, market share, and financial results. As a chief lobbyist to Congress, he represented financial institutions, serving as a first and main resource to Members of Congress as they sought to understand implications of legislation upon financial services. Rodney S. Retzner is a partner in the Carmel office of Krieg DeVault LLP as well as chair of the estate planning and administration practice group, where he concentrates his practice in the areas of estate and business succession planning, probate administration and not-for-profit entities. Retzner joined the firm in 1998 and is a certified estate planning and administration specialist and a member of the Indiana Bar Association. He earned an undergraduate degree from the Rose Hulman Institute of Technology, then served as an officer in the U.S. Navy from 1990 to 1995. Afterward Retzner earned a JD from the University of Cincinnati College of Law. Krieg DeVault LLP is an IBA associate member. Jackie Rolow, SHRM, SPHR, ATD, is executive vice president and chief talent officer, having been a vital part of the SHAZAM Network for the past 26 years. She started as a part-time human resources (HR) clerk and receptionist and worked her way up to her current role. Jackie leads the charge to establish and enhance solid HR management practices and retain top industry talent. She plans and coordinates enterprise-wide HR functions, consistent with the strategic direction set by the company. She also manages information and recordkeeping systems that protect the legal rights of employees, applicants, former employees and SHAZAM. Jackie earned a bachelor’s degree from the University of Northern Iowa in Cedar Falls, and a master’s degree from Iowa State University in Ames, Iowa. Shazam, Inc. is an IBA Preferred Service Provider and associate member. Stevan Savich completed 37 years as a commissioned trust examiner for the Federal Reserve Bank of Chicago. During that time, he was the examiner-in-charge of trust department, trust company, investment advisor, government securities dealer, municipal securities dealer, and transfer agent examinations. In 2000, he was named the recipient of the President’s Award for Excellence, the Federal Reserve Bank of Chicago’s highest honor. After a very brief retirement, he accepted a position at the Indiana Department of Financial Institutions and is responsible for the examination of all trust departments and trust companies. Steve has earned the coveted Certified Trust Auditor designation from the Cannon Trust School and has graduated from the National Trust School. He holds a bachelor’s in economics along with an associate degree in paralegal studies, both from the University of Indianapolis. Katie Schnieber is a CPA with Clark Schaefer Hackett and has been serving clients in the community banking industry for nearly 10 years. She works primarily on the external audit side of the business and strives to provide excellent client service and be a resource throughout the year. She is currently serving as secretary in the Financial Managers Society Cincinnati chapter as well as the treasurer of the Tri-State League of Financial Institutions. In addition to these roles, Katie is also an adjunct professor at the University of Cincinnati and has a passion for teaching others. Clark Schaefer Hackett is an IBA associate member. Paul Sinclair is a partner at Ice Miller LLP and has over 25 years’ experience with clients throughout the United States on all aspects of human resources and labor relations issues. He has been named an Indiana Super Lawyer since 2008, and Indiana Business Magazine named Paul as the best lawyer in labor and employment law. He has been on the Best Lawyers in America list since 2008 and for 2016-2017 was named the “Lawyer of the Year” by the publication. Sinclair received a bachelor’s degree from Brigham Young University, a master's degree from Gonzaga University and a JD from Southern Illinois University School of Law. Eric Sivertsen is CEO and partner of international agency Epicosity®, which specializes in bank marketing. He has served as a leader for the Epicosity team, from co-founding the agency to providing strategic leadership throughout its growth and expansion. The team he leads specializes in creative development, digital strategy, video production, website development, public relations and media buying and planning for financial institutions. With 28 team members and clients in 23 states and 5 countries, the agency has been named among Inc. Magazine’s 5,000 fastest-growing companies in America three years running. Duane F. Sobecki, is the senior partner of Focused Results, LLC, a sales strategy, consulting, and training firm and a co-founder and chief sales officer of Robovise, a digital wealth management company for community banks and credit unions. He provides assertive strategies to drive deposit generation, loan demand, wealth management, and business development in community banks and other financial institutions. He is also the principal writer of Market Data Monday, a twice-monthly look at how community banks can impact local markets, and is the author of numerous reports and booklets on key market segment development and improvement. Duane holds a bachelor’s degree from the Kelley School of Business at Indiana University and has a certificate in management planning from the University of Illinois – Chicago. Cindy Solomon builds courageous leadership. An internationally recognized speaker, author, and consultant, Cindy is a recovering corporate executive who has spent over two decades focused on how to help individuals become more effective, productive and yes, courageous… in both their professional and personal lives. She and her team at Cindy Solomon & Associates (CSA) work with hundreds of clients a year to build, harness, and leverage courageous leadership. Whether it’s helping clients like Google, Raytheon, UPS and Amazon find a way to innovate during explosive growth, or helping the Gates Foundation and Associations like ASAE and the American Bankers Association innovate during disruption … Cindy and her team have enabled over 100,000 leaders around the world to build the courageous leadership skills they need to not just survive, but to thrive. This year alone, CSA has been named on both Inc. 5000 and the San Francisco Business Times’ FAST 100 list of fastest-growing companies. Steve Stasiukonis serves as president of Secure Network Technologies, focusing on Penetration Testing, Information Security Risk Assessments, Incident Response and Digital Investigations. He has worked in the field of Information Security since 1997, specializing in the use of technology to identify information security vulnerabilities, assessing risk and the collection and interpretation of digital network intelligence. As a part of that experience, Steve is an expert in social engineering involving pretexting, phishing and physically compromising banks, data centers and other highly secure facilities. Steve carries numerous security certifications by various organizations and also serves as a columnist for Information Week magazine and DarkReading.com. Dev Strischek is principal of Devon Risk Advisory Group. He also is a member of the Private Company Council of the Financial Accounting Standards Board. Strischek previously served in credit with several banks, including SunTrust Bank and Barnett Bank. He additionally was chief financial officer of a construction company, a combat engineer officer in the U.S. Army, and a college economics instructor. Strischek is active with the RMA Florida Commercial Lending School, the Southwest Graduate School of Banking, and the American Bankers Association Commercial Lending school and the Stonier Graduate School of Banking. A graduate of The Ohio State University and the Stonier Graduate School of Banking, Strischek earned an MBA from the University of Hawaii. Luke Tatge is a Creative Director for Epicosity®. He specializes in concepting, communication and creative and has a background in advertising for retail banks and marketing B2B financial products in his previous marketing role at Meta Payment Systems®/MetaBank®. In his current position with Epicosity, he builds out high-quality content, digital marketing and ongoing communication for financial institutions across multiple states daily. Kevin Tweddle, CPA, is chief operating officer for ICBA Services Network®, and the IBCA’s chief innovation officer, working with ICBA leadership to develop impactful, value-added solutions that help community banks seize new market opportunities to meet customers’ evolving financial services’ needs. Since joining ICBA, he has spearheaded the successful launch of the ICBA ThinkTECH Accelerator, in partnership with the Venture Center, as well as the ICBA ThinkTECH Network, powered by FinXTech Connect. His financial services experience spans 30 years and includes being president of Bank Intelligence Solutions at Fiserv, chief financial officer and chief information officer at Bankers Bank in Atlanta, president of the Association for Financial Technology and chairman of the Financial Institutions Committee of the Georgia Society of CPAs. Kevin is a graduate of the Colorado Graduate School of Banking and earned a bachelor’s degree from Stetson University in Deland, Fla.
Adam Witmer, CRCM, is both the founder of Compliance Cohort, LLC and a VP at a small community bank in Northern Indiana where he heads up the risk management, compliance, BSA, and audit programs. He is a presenter, regular guest lecturer at Purdue University Fort Wayne (PFW), records training videos and writes articles on all areas of consumer compliance including BSA, mortgage lending, HMDA, deposit operations, loan operations, CRA, flood insurance, fair lending, hot topics, and advanced compliance management and BSA management, and is a former faculty member of the Community Bankers School. Adam has also held positions as a senior consultant at a regional consulting firm, an AVP and director of compliance for a multi-bank holding company, a banker at a large national bank, and a loan originator at a mortgage subsidiary of a regional community bank. AaSys Group is a technology-focused organization supporting community banks. AaSys provides onsite support, as well as help desk services, and specializes in supporting core and ancillary banking applications. AaSys’ bank operations specialists assist banks with core evaluations, contract negotiations and business process reviews. Improving operational efficiencies is a goal for each client. Allied Solutions is one of the largest providers of insurance, lending, and marketing products to financial institutions in the US. Allied Solutions uses technology-based products and services customized to meet the needs of 4,000 clients along with a portfolio of innovative products and services from a wide variety of providers. Allied Solutions maintains over 15 regional offices and service centers around the country and is a subsidiary of Securian Financial Group, Inc.
Approval Payment Solutions Inc., an IBA Preferred Service Provider, provides bankcard-processing services for banks’ business customers. APS gives merchants the ability to accept debit and credit cards, including Visa, MasterCard, American Express and Discover. The company’s agent bank program offers payment of residual income, as well as income from check acceptance services and gift cards. Ascensus helps more than 8 million Americans save for the future—retirement, college, and healthcare— through technology-enabled solutions. With more than 35 years of experience, the firm meets the needs of asset managers, banks, credit unions, state governments, financial professionals, employers, and individuals. For more information about Ascensus, visit www.ascensus.com. With full service vaulted locations, ATM Solutions is a provider of end-to-end ATM services, including: ATM sales/outsourcing, ITM sales/outsourcing, TCR sales/outsourcing, Smart Safes (remote deposit capture for cash), armored cash replenishment, deposit retrieval, ATM maintenance, courier work, and ATM rentals. ATM Solutions has focused on ATM services and products from its start in 1994, ensuring that its customers receive the highest level of service in the industry. Aunalytics provides organizations with the cloud infrastructure, data management and analytics platform, and robust managed IT and data solutions that deliver operating efficiencies, revenue growth, and greater employee and customer experiences. Automated Systems, Inc., founded in Lincoln, Nebraska, is a leading provider in award-winning banking software and support. We provide core banking applications, hosted data solutions, and core data processing systems. With customers ranging in demographics, ASI is committed to equipping community banks nationwide with competitive and cost-effective solutions. The Baker Group, an IBA Preferred Service Provider, is a leader in the development of innovative asset/liability and investment portfolio management services for community banks. Products and services include asset/liability management, investment portfolio accounting, investment portfolio analysis, budget and board reporting and broker/dealer services, plus educational programs concerning regulatory issues, interest-rate risk and portfolio management. Banc Statements, Inc. specializes in providing outsource printing of DDA and savings statements, along with various notices, tax forms and standalone mailings exclusively for community banks. BSI has printing facilities in Indianapolis, Dallas, and Birmingham. The BancMac loan program gives financial institutions easier, more profitable access to the secondary mortgage markets, regardless of the institution’s size and experience. BancMac offers all of today’s fixed-rate products at competitive rates. With the flexible participation options, all financial institutions can benefit from the many products available – there is no minimum loan production volume or secondary market loan origination experience necessary to make significant fee income with the BancMac program. Bankers’ Bank is a bank-owned correspondent bank, providing cash letter, credit card/merchant processing, international services, investment, leasing, commercial lending, personal mortgages, retail brokerage services and wealth management. Having our diverse mix of products and services readily available gives our customer bank’s the tools needed to operate efficiently and stay competitive. Bankers Healthcare Group has developed a nationally recognized niche in healthcare financing. It originates, underwrites and sells top quality loans for medical professionals to banks nationwide. Since 2001, BHG has originated $3.5 billion in medical loans and sold them to over 875 banks nationwide. BankTalentHQ.com is an IBA Preferred Service Provider and an IBA-supported talent management website dedicated to attracting candidates to the banking industry and helping banks find and retain quality employees. In partnership with several state bankers associations, BankTalentHQ is a fee-based system connected with social media outlets, including Facebook, LinkedIn and Twitter. It also provides enhanced marketing to quality candidates outside of the industry to pique their interest in banking careers. BITS is a best-in-class telecommunications services provider that exclusively caters to the financial services industry. BITS offers a complete platform of next generation telecommunication services, specifically developed to simplify banks’ technical, operational, and regulatory requirements. Their services provide cost savings, unmatched efficiency, risk reduction, streamlined solutions, and peerless, always-on customer support. BKD, a national CPA and advisory firm serving clients in all 50 states and internationally, helps people and businesses realize their goals. BKD National Financial Services Group works with more than 1,700 banks, including approximately 90 SEC registrants, community banks, and thrifts, providing assurance, tax and corporate finance solutions, as well as internal audit, regulatory compliance, information technology and loan review outsourcing and co-sourcing options. BrandPoint Design specializes in bank branding, design, architecture, market assessment and growth strategies, and construction management services. Mike Parnon, president, is an Indiana-licensed architect with over 30 years’ experience creating brand-driven retail environments. BrandPoint Design partners with consultants on a project basis – minimizing overhead, passing savings on to its clients, and maintaining a high level of quality. Cinnaire Corporation, an IBA Preferred Service Provider, offers banks the opportunity to invest in affordable housing and community economic development activities. Cinnaire raises capital from corporations and financial institutions and invests those resources in real estate development partnerships. The company’s responsible financial investment strategies, lending options and value-added services enable investors to advance business and community endeavors. CLA exists to create opportunities for our clients, our people, and our communities through industry-focused wealth advisory, outsourcing, audit, tax, and consulting services. From accessing capital, identifying and mitigating risk, and adapting to new regulations, our experienced team guides community banks through challenging times and helps position them for future success. With more than 5,400 people, 110 U.S. locations and a global affiliation, we promise to know you and help you. For more information visit CLAconnect.com. Investment advisory services are offered through CliftonLarsonAllen Wealth Advisors, LLC, an SEC-registered investment advisor. In the ever-changing financial sector, you need the infrastructure to handle massive amounts of financial transactions and customer data. Having the scalability to securely connect and transfer data between headquarters, branch banks, and other institutions will help your productivity and your bottom line. Comcast Business understands to be competitive and profitable, you need the ability to innovate for your customers. Having the right technology solution in place can help. Comcast Business enterprise solutions like Ethernet Service, Managed Enterprise Solutions, and Voice Service, provide the productivity to increase profitability. Convergint Technologies is a global, service-based systems integrator whose top priority is service in every way – service to customers, colleagues, and community. Providing branch transformation and customer experience solutions, Cornelius Systems Inc. is the authorized distributor for Glory Global Solutions in Teller automation as well as Hyosung for all of your ATM and Active Teller needs. We are in Indiana, Ohio, Michigan and Kentucky. Efficiency ratios see measurable improvement as Cornelius Systems helps implement technology to enable lower-cost, multichannel transactions. It offers assisted self-service, teller cash automation and a full family of ATMs, as well as everyday cash handling solutions. The company has been in service for over 45 years. Crescent Mortgage lends in 48 states and partners with 2,000 community banks and qualified mortgage brokers. As a mid-size mortgage lender, it believes it is a perfect fit for community banks. Big enough to provide the best in mortgage products and latest technology; small enough to listen and custom fit its services to the bank's individual needs. Crescent Mortgage has always been prudent in its lending – never making subprime loans, negative-amortization loans or pay-option ARMs. Computer Services, Inc. (CSI), an IBA Preferred Service Provider, delivers end-to-end technology solutions through core processing, managed services, mobile and Internet, payments processing, electronic and print distribution, and regulatory compliance solutions to financial institutions across the nation. Exceptional service, dynamic solutions and superior results are the foundation to CSI’s reputation in empowering community banks to remain competitive, compliant and profitable. CSPI offers Aurora online banking in addition to its Aurora in-house imaging products suite. Online banking includes: mobile banking, mobile check capture, bill pay, ACH generation, wire transfer, payroll and telephone banking. All Aurora products can be hosted or data-centered. CSPI’s in-house image products include check imaging report management and document imaging. Cummins-Allison provides currency scanners and high-speed currency sorters, check and cash scanners, check scanners, ATMs and both self-service and attended coin counting equipment for the financial industry. All of its products are reliable, accurate and backed by local sales and service expertise that banks can trust. Dearing Group is a full-service marketing communications agency that strategically develops brands and tells compelling brand-centric stories. Serving clients locally and throughout the Midwest for over 40 years, Dearing Group has worked with a variety of industries and has extensive experience with bank marketing. With 1,200 BOLI clients, Equias Alliance, an NFP company, and NFP provide banks with customized solutions for designing and financing benefit programs to recruit, retain, and reward key officers and directors, implementation and administration of BOLI and nonqualified benefit plans. Farmer Mac is America’s secondary market for agricultural real estate loans and loans guaranteed by the U.S. Department of Agriculture. Farmer Mac purchases qualified loans from banks and provides long-term credit for America’s farmers, ranchers, businesses and communities. Working with FE Moran Security Solutions ensures you will have the smartest solutions in security and safety. We off top quality equipment, professional installation, and customization of security systems. FE Moran Security Solutions prides itself on its certifications, licenses, and flexible installation and savings options. People. Place. Profits. PROTECTED. The Federal Home Loan Bank of Indianapolis (FHLBank Indianapolis) is a member-owned wholesale bank that provides a variety of funding options and a residential mortgage purchase program (MPP) to help Indiana and Michigan financial institutions (including banks, thrifts, credit unions, insurance companies and community development financial institutions) access wholesale funding, reduce risk and increase profitability. FHLBank Indianapolis also provides funding for community economic development, low-to moderate-income housing, and affordable housing program grants to members. The Federal Reserve Bank of Chicago is one of 12 regional Reserve Banks across the United States that, together with the Board of Governors in Washington, DC, serve as the central bank for the United States. The Chicago Fed serves the Seventh Federal Reserve District, an economically diverse region that includes all of Iowa and most of Indiana, Illinois, Michigan and Wisconsin. The Seventh District has a large national share of many important economic sectors. Finastra unlocks the potential of people and businesses in finance, creating a platform for open innovation. Formed in 2017 by the merger of Misys and D+H, we provide the broadest portfolio of financial services software in the world today— spanning retail banking, transaction banking, lending, and treasury and capital markets. Through our open, secure and reliable solutions, customers are empowered to accelerate growth, optimize cost, mitigate risk and continually evolve to meet the changing needs of their customers. 48 of the world’s top 50 banks use Finastra technology. Please visit www.finastra.com. FINPACK is credit analysis software for commercial and agricultural lending that can help you reduce risk, service loans quickly, and meet documentation requirements. With FINPACK, you can also effectively generate financial spreads, risk rating, cash flow projections, global cash flow, stress tests, and loan presentations. Providing software, services and outsourcing of the technology that empowers the financial world, FIS™ combines the most complete banking and payments solutions with a client-centric service model to help clients succeed. Partnering with FIS means gaining access to innovation funded by the company’s substantial and sustained investment. FIS helps clients transform disruption into opportunity, giving them the tools they need to stay ahead of technology and the competition. Fiserv Inc. (NASDAQ: FISV) is a leading global technology provider serving the financial services industry, driving innovation in payments, processing services, risk and compliance, customer and channel management, and business insights and optimization. Flat Branch Mortgage Services is the third party originator division of Flat Branch Home Loans, offering a full array of secondary market loan programs. We provide a solution that improves our partners' efficiency and profitability, all with full access to one team. Floodplain Consultants Inc., an IBA Preferred Service Provider, has been providing flood zone certifications and consulting on the National Flood Insurance Program since 1991 and works with nearly 70 Indiana financial institutions. FCI’s commitment to hands-on solutions and superior customer service reduces loan staff work, boosts borrower satisfaction and promotes higher loan volume. Gibson Teldata Inc., provides installation, support and maintenance of business telephone systems and data networks throughout Indiana. Its services include IP telephony, VOIP, voice mail systems, structured cabling, IP Video Surveillance systems, door access systems, data networking and Wi-Fi. The company is a strategic partner with Mitel, NEC and HP. Gradifi is an innovator in student loan and college savings employee benefits for U.S. employers. Gradifi’s mission is to help employers become an employer of choice and build loyalty with their workforce by offering benefits that positively impact their employees’ financial well-being. Gradifi offers a single-platform solution to allow employers to offer employees student loan refinancing opportunities, and employer-sponsored contributions to student loans and 529 college savings accounts. Gradifi serves over 700 clients across all sizes and industries. Since 1945, the Graduate School of Banking at the University of Wisconsin has been widely recognized as one of the premier banking schools nationwide. The school currently offers a Graduate Banking School program, Human Resource Management School, Bank Technology Management School, Bank Technology Security School, Financial Managers School, Sales and Marketing School, Bank Management Forums and the GSB Online Seminar Series. Green Sign Company is an award-winning designer & Midwest leader in the sign industry with full sign service and customer sign manufacturing. Provide wholesale lending platform for banks and credit unions. HT Mobile Apps helps community banks stay relevant. Its products offer opportunities to differentiate your bank. Banker Jr. is a mobile app for iOS & Android, and the associated tablets. The app teaches kids simple money concepts and is licensed to community financial institutions. Plinqit, a new product for HT Mobile, helps banks to reach Millennials. With Plinqit, Millennials learn to save in a fun and rewarding way. These are the consultants for the IBA Group Insurance Trust, serving as the full-service team for the Trust and its members. With over 40 years of collective experience, IBA Insurance Solutions is committed to finding innovative ways to negotiate more comprehensive coverage terms and better pricing for your insurance needs. Specializing exclusively in the insurance coverages for banks, IBA Insurance Solutions offers property/casualty, collateral protection, bond, D&O, cyber, breach response, and fee-income programs. The team of professionals will complete a free and complete due diligence review of all carriers of bank-related insurance offered. Banking is challenging enough, don’t let insurance be difficult as well. Infotex, an IBA Preferred Service Provider, provides a managed SIEM as a Managed Security Service Provider (MSSP) and IT audit solutions as an audit firm. As an MSSP, Infotex itself is audited and examined, helping the company to understand the true meaning of “bedside manners.” Assessment services include IT auditing, technical vulnerability assessments/penetration testing, BCP testing, social engineering and risk assessments. Managed services provide for intrusion prevention and detection (IDS/IPS), as well as event log management. Security awareness training, policy development and forensics are provided under Infotex consulting services. Headquartered in Chapel Hill, North Carolina since its inception in 1972, Investors Title Insurance Company has partnered with over 500 financial institutions through their unique Affiliated Agency Program, designed to generate non-interest fee income for participating agency owners. The affiliated program has written over $725 million in title insurance policies and has generated over $200 million in dividends to their member banks. Investors Title would be pleased to give Indiana financial institutions of all sizes the opportunity to learn more about maximizing fee income through the sale of title insurance. Jack Henry Banking®, a division of Jack Henry & Associates, Inc.® (NASDAQ: JKHY), serves more than 1,300 banks with core and complementary solutions, unmatched service, in-house and outsourced alternatives, and integrity-based client relationships. Visit www.jackhenrybanking.com. JMFA is a leading provider of profitability and performance-improvement consulting. For more than 30 years, JMFA has been recognized as one of the most trusted names in the industry, helping financial institutions enhance their bottom line with programs like JMFA Overdraft Privilege®. JMFA is also recognized for earnings enhancement and expense control programs, training, executive placement, account acquisition programs as well as product, service, pricing and technology-improvement consulting. Simply stated, JMFA’s programs and services are designed to increase income or reduce expenses. JMFA is proud to be a preferred provider among many industry groups. K4, an IBA Preferred Service Provider, designs environments in which banks can succeed and thrive through architecture, interior and graphic design, and construction services. Whether you need a new facility, an interior remodel or a graphics refresh, the company provides appropriate design solutions. K4 is proud to share its financial portfolio and has completed over 2,000 financial projects in the last 18 years, including branches, main offices and operation centers. Kruggel Lawton is a full-service accounting and business consulting firm offering estate planning and fiduciary tax services, assurance services, tax compliance and consulting, business valuation, business accounting services, and executive searches. Kruggel Lawton also offers national and international resources as an independent member of the BDO Alliance USA. Lee & Mason Financial Services, an IBA Preferred Service Provider, has been providing collateral protection insurance products to community banks for over 60 years. Lee & Mason specializes in blanket and lender-placed collateral coverage in addition to offering the ability to outsource the entire insurance tracking process. With multiple insurance carriers and tracking facilities, Lee & Mason can optimize the insurance coverages and cost while customizing the process to meet any client’s preferred workflow. LenderSelect Mortgage Group is a full-service mortgage provider committed to empowering community lenders with the necessary tools for growing a profitable mortgage platform. As a Fannie Mae, Freddie Mac and Ginnie Mae approved lender, LenderSelect’s collaborative approach offers community lenders the benefits of directly offering mortgages, without increased overhead costs or risk. Customized to individual community lender needs, LenderSelect’s model offers financial institutions maximum return on investment by increasing borrower retention, production and profitability, while ensuring compliance oversight. LEVEL5 is a complete design-build solution that works exclusively with community banks in the development and implementation of growth strategies. Its unique service model marries site selection (market analysis and real estate procurement) with design-build (design and construction) to maximize business performance and return on investment. Main Street partners with over 2,100 community-oriented financial institutions who desire a superior customer service model in their checking, analytics, and marketing programs. Our simplified approach equips you with the information, tools and solutions needed to win in today’s market. Whether you are trying to acquire, retain, or expand account holder relationships, Main Street provides a cost-effective, straightforward, partnership to meet your goals. We are expert technology advisors. For 40 years we have helped clients design, implement and utilize technology to achieve success. Our expertise includes: professional services, data center, networking, computing, collaboration and security. Midwestern Securities Trading Company is an independent, introducing broker/dealer and registered investment adviser that offers banks a turnkey solution to implement their own retail investment services divisions. The company also offers the easy(k)™ 401(k) plan, the Smartdonor™ charitable giving program and trust services solutions. Multiguard Corporation designs, installs and monitors security and life safety systems. Its systems include intrusion detection, hold-up alarms, fire alarms, video surveillance, access control and mass notification systems. Services include consulting, design and engineering, installation, service, inspection and test, UL/FM monitoring and hosted access control. Ncontracts is the leading provider of risk management solutions for banks. Its comprehensive and secure online product suite and team of exceptional legal, financial, technology, and client services experts enable banks to successfully manage their third-party vendor relationships and contracts, assess and address compliance risks and audit findings, and replace manual tasks with time-saving and cost-cutting software and guidance. Founded by the Federal Home Loan Bank System in 1943, Pentegra is the retirement plan provider of choice for community banks nationwide, with more than 1,200 bank retirement plans and over $13 billion in AUM. Pentegra offers more than 75 years of industry knowledge and insights in bank retirement plan solutions designed to attract, retain and reward the talent needed to ensure your bank’s success and drive more successful retirement plan outcomes for your employees. Phoenix Commercial Finance Co takes tremendous pride in helping businesses across the country secure the financing they need to achieve their goals and successfully grow their business. With 20+ years of experience they offer a wide array of non-traditional financing options, from commercial and inventory financing to cash advances and virtually everything in between. Increasing regulations and competition make it tough for Financial Institutions to grow and most budgeting/asset liability management software isn’t capable of helping you meet these challenges. At Plansmith, we've helped thousands of banks remove the stress of budgeting and forecasting with powerful, intuitive software and expert advisory services.Our team helps you find the right solutions to overcome your most significant hurdles to success. Visit our booth to learn more! Plante Moran’s financial services team has extensive experience and technical expertise in the banking industry. From internal audit, loan review, and trust audit services to regulatory compliance, technology audit, and other risk management services, Plante Moran professionals are prepared to help clients address any challenge and leverage every opportunity. The Plateau Group, Inc. is an insurance holding company specializing in credit insurance, debt cancellation and other related products for financial institutions, automobile dealers, consumer finance companies and other retail lenders. Plateau markets, manufactures, administers and reinsures products that meet the needs of its customers, while providing the highest level of service and courtesy in the business. Contact Greg Janssen for a free custom evaluation of the opportunities at your bank. Premier Capital partners with banks to provide expansion capital to Indiana businesses via the SBA 504 loan program. Since 1976, Premier Capital has played a role in financing more than 400 such transactions. Banks benefit by providing clients with 80 percent to 90 percent financing, while keeping the bank in a first-lien position at 50 percent loan-to-value. The client benefits from a 20-year fixed rate on the 504 portion of the loan. It’s the perfect partnership for owner-occupied commercial real estate. PrintMail Solutions Inc., is the industry pioneer and market leader of statement processing for community banks. Since 2000, PrintMail Solutions' proven cost-saving and reliable solutions include printed and electronic statements for DDA's, loans and notices. The company seamlessly interfaces to your online banking provider and every core platform and imaging software. Profit Resources Incorporated (PRI) strengthens financial institutions by improving profitability, processes and efficiency, so that banks can best serve their customers, employees and shareholders. We work collaboratively with IBA members to enhance non-interest income and non-interest expense, evaluate core/EFT systems and improve contract terms, increase debit card profitability and more. By taking a hands-on approach to consulting, the PRI team of seasoned banking professionals makes a measurable impact on the bottom line. Chosen by 3,000+ financial institutions nationwide over the past decade, Promontory Interfinancial Network is the leading provider of FDIC-insured deposit placement services. Banks can use the company’s solutions—ICS®, or Insured Cash Sweep®; CDARS®; Promnet Repo®; IND®; Yankee Sweep®; and Bank Assetpoint®—to build multimillion-dollar relationships, reduce collateral requirements, manage liquidity, and buy/sell loans. PULSE, a Discover Financial Services (NYSE: DFS) company, is one of the nation’s leading debit/ATM networks. Financial institutions across the United States and around the world depend on PULSE’s comprehensive suite of products and services. The Discover Debit signature debit solution is endorsed by the American Bankers Association through its subsidiary, the Corporation for American Banking. Discover®Debit offers financial institutions an uncomplicated approach to signature debit. Its superior economics and competitive program features enable issuers of all sizes to experience a fresh alternative to other debit programs. PWCampbell, widely known and respected in the financial services industry, is a fourth-generation, family-owned retail services and design/build firm. Founded over 100 years ago, the company offers a full range of quality facility planning, demographic research, creative branding, merchandising, digital marketing, LEED certification, interior design, furniture coordination, architecture and construction services. PWCampbell is always working to provide the best facility solution, delivered on time and within budget. QuestSoft is a leading provider of compliance software and services to more than 2,500 banks, credit unions and mortgage companies. QuestSoft’s automated solutions simplify the collection, analysis, compilation and reporting of key regulatory data for all federal, state and local lending laws, as well as TRID, CFPB, HMDA and more. Quinnox is a Chicago based technology services, consultant, and systems integration partner for forward thinking banks. We offer personalized, platform-based solutions as well as advisory services across the value chain of Retail Banking, Wealth Management, Capital Markets, Lending, Cards, Payments and Risk & Compliance. We drive business transformation and innovation through our digital transformation solutions. We help solve business problems. We are your local partner with global capabilities. Robert Steele Agency is an independently owned Indiana insurance agency, specializing in debt and lending related services and insurance. Representing the strongest and most credible insurance companies, the agency takes a consultative approach to help lenders and financial institutions reduce risk across their lending portfolios, comply with lending regulations, increase process efficiencies, and minimize necessary costs. RSM US LLP is the leading provider of audit, tax and consulting services focused on the middle market, with more than 8,000 people in 80 offices nationwide. It is a licensed CPA firm and the U.S. member of RSM International, a global network of independent audit, tax and consulting firms with more than 37,000 people in over 110 countries. With the experience of serving more than 1,200 financial institutions across the U.S., RSM professionals can help bank leaders navigate complex reporting, governance and regulatory issues in times of rapid change. SHAZAM, Inc., an IBA Preferred Service Provider, was founded in 1976 and is one of the last remaining member-owned and controlled EFT networks and processors in the industry. SHAZAM provides EFT services to more than 1,500 community financial institutions nationwide. SHAZAM offers ATM processing services; Visa debit and Debit MasterCard national debit products, including business debit and health savings account (HSA) cards; card authorization services; merchant processing; ACH services; and information security solutions. Sherman, Barber & Mullikin is a full-service CPA firm with more than 40 years of experience offering external and internal audit services, tax planning and preparation, BSA and ACH audits, compliance reviews, risk assessments, loan cash flow calculations and related training, strategic planning and other advisory services. SilverTech is a digital marketing and technology company; redefining how businesses engage with and understand their customers. Our custom, integrated solutions give a 360-degree view of even the most complex customer journeys. We have helped national and international clients transform their business for the digital age and unlock new possibilities for growth. Spry, an IBA Preferred Service Provider, helps you market and manage your brand with absolute efficiency. Spry is a brand optimization partner for their clients and believes in the wisdom of disciplined budget management, smart solutions that win team compliance, and thoroughly efficient brand management. StrategyCorps works with hundreds of financial institutions nationwide to deliver top-performing mobile and online banking, consumer checking and debit card solutions. The payoff is better connections with customers’ mobile and online lifestyles, enhanced customer engagement and significant customer-friendly fee income. StrategyCorps delivers a customer experience that will make your institution stand out from the crowd of basic banking services. For more than 40 years, TransFund has been a symbol of convenience and service for community banks and their customers. The company is a top-10 ATM and debit card network delivering superior EFT products and services, along with unique debit card solutions to attract new customers, reduce program costs and maximize your program’s revenue. Travelers has been insuring banks for more than a century. Offering a wide range of customized insurance protection, Travelers SelectOne+ SM for financial institutions is designed to respond to the most recent trends in banking. This flexible product line provides insurance options to help banks reduce potential gaps and overlaps in coverage, including D&O liability, cyber liability, bankers’ professional liability, financial institution bonds, ID fraud expense reimbursement and property/casualty coverages. As the nation’s first bankers’ bank, UBB is an industry leading correspondent bank that provides community banks with the innovative products, services, resources and solutions they need to be competitive, successful and remain community based. Today, UBB is trusted by over 1,000 community bank partners throughout the country. Our reputation is built and maintained on the trust and integrity we have formed with our customers and by never competing against them. Vanadco Signs offers complete branch sign design, fabrication and installation, along with sign service and maintenance. Features include electronic displays, LED message centers and rate boards, directional signs, neon, network signage and ATM signage, large-format printing, ATM wraps and custom wall coverings. Vanadco Signs is a Heritage Kiosk ATM authorized dealer. Voluforms is a full-service printer that specializes in MICR documents, statements, envelopes and other banking needs. It also provides distribution, office supplies, online ordering, on-demand printing, Web form applications and promotional products. The products you need and Voluform’s customer service are second to none. Wipfli’s Financial Institutions Practice serves approximately 900 financial institutions across the country. Its mission is to educate, advise and assist community banks in successfully navigating the complex environment they face. Let Wipfli’s professionals assist you with your regulatory compliance, profit improvement, risk management, strategic planning/board development, information technology, audit or tax needs. Works24 is the leading provider of on hold music and messaging services, lobby video displays, interior digital signage, overhead music and website video to the financial industry. It provides a true partnership that makes it effortless to create custom scripts for your marketing programs and promotions while reinforcing your bank’s unique and professional image. Let us show you the best way to educate, inform, cross sell and appreciate your current customers, and help inject a healthy lobby culture. Since 1978, Young & Associates Inc. has provided consulting, education and products to community financial institutions nationwide. Its products and services cover all the major areas of banking, such as risk management, capital planning, strategic planning, mergers and acquisitions, branching/expansion, de novo bank charters, profit enhancement, internal audit, lending and loan review, information technology, human resources, policy development and compliance. All golfers are invited to the men’s and women’s combined tournament. We will be using a four-man, best-ball scramble format. Prizes will be awarded to the first, second and third-place teams. The golf fee of $150 (or one Mega Buck) includes greens fees, cart rental, box lunch and prizes. Golf will begin with a shotgun start at noon. Looking for an intimate setting to enjoy camaraderie with colleagues? IBA Chairman Clay Ewing invites you to join him at The Westin Indianapolis. The suite will be open Tuesday and Wednesday evenings. Please stop by! This fast paced and energetic session will review 60 of the most common compliance violations. Aiming to communicate an average of one violation per minute, the speaker will walk the tightrope between speed and effective communication in an attempt to possibly set some sort of lame compliance world record. Topics will be presented with a presumed risk so that compliance professional can easily prioritize each potential problem area - meaning more time will be spent on the more complicated, higher- risk areas while less time will be spent on the lower-risk areas. While compliance topics can often be mundane, expect this high-energy session to bring a bit of excitement - and even some humor - to an otherwise boring subject. This session will discuss the current and future trends in FinTech and Digital Transformation and how a community bank can be nimble enough to fulfill changing customer expectations. Once your bank has determined your “posture” towards emerging tech and digital, what’s the next step? We’ll discuss a roadmap to get you there, including how to deal with your legacy technology and give real life examples of what other community banks have done and are doing. Since the first ATM was introduced in 1967, bankers have heard predictions of the demise of the traditional retail branch. Now, amidst relentless cost pressure, expanding electronic channel alternatives, and declining in-branch transaction volumes, calls continue for banks to reduce the scope of their branch networks. In reality, they should pursue just the opposite. Branches remain the dominant channel for new account opening, and empirical evidence proves that larger branch networks capture a disproportionate share of balances. But most importantly, to the extent that community-based institutions can encourage customers to utilize the branch channel, those institutions can reinforce their greatest differentiating trait – their people. Referrals are the quickest and most professional way to develop business, yet only 29% of professionals are ever asked for a referral. This session will provide answers to the crucial questions of "why" and "how" and attendees will learn a sure-fire success rate with the straightforward and interactive method. Attend this session and you will forever have a fully-stocked pipeline! Increasingly fiduciaries are being challenged on what has been to the present acceptable norms of conduct under the Law of Trust in the Uniform Prudent Investor Act. These challenges have taken the form of cost being dispositive of prudence, index funds are per see prudent, active management can in certain circumstances be prudent. There are points in time where it is mandatory to divest an underperforming security. The presentation will discuss the appropriate responses to these kinds of accusations based on existing well settled fiduciary law. The CFPB’s new 2018 HMDA rules are now in effect, although the CFPB has announced that enforcement of the new rules will be delayed at least a year. Submission is rapidly approaching – are you ready? The new rules expand what types of loans are covered, and many more data elements (110 to be exact) are now to be collected. As well, the submission and disclosure processes will change, to the new CFPB online method. What do the CFPB’s announcements mean? Should smaller lenders collect the new data? Will examiners be looking at it? What are the fair lending issues and risks you need to be aware of after submission? As well, the existing HMDA data elements must still be collected and submitted properly. We’ll discuss the current state of HMDA and get some of your questions answered. Now that we are at the half way point of the year we are watching a few developments that will likely pose a challenge to the financial community and the business world as a whole. What can be said about inflation, interest rates, trade and employment/productivity? These are the subjects that have been causing tactical and strategic plans to be altered - what does the rest of the year look like? Network breaches and hacks occur every day, a significant amount of that stolen data ends up for sale on the Dark Web with other contraband. You have heard about the Dark Web, but have never really seen it. This session explains the Dark Web and how you can safely experience it. Topics will include technical requirements and procedures needed to gain access, best practices and how to protect yourself, purchasing items on the Dark Web using digital currency and how NOT to become a victim when in the Dark Web. This session will end with a live demo inside the Dark Web and shopping in the dark markets. In a world where everyone expects instant gratification, it is no surprise that people are turning to mobile apps and online mortgage programs to gain immediate approval – potentially at a lower cost. Your talent will help you shine as a community lender, but that alone may not be enough to win borrowers over in this competitive purchase market. In this presentation, you will learn how to compete and come out on top in this environment using specific strategies that highlight your competitive advantages as a community lender to homebuyers. Customers are your most valuable assets; they provide for your ability to grow. Every role at your bank leads to the same results – customers’ success, experience, and contribution to profit. If you want a culture that supports top-line growth and stellar performance; align your sales, service, and support systems with your strategic choices. A “customer first” approach and a results-based culture helps your bank increase sales, service levels, and profits. All employees hold the title of “CSR” and individually help your bank earn the right to grow for and with its customers. This session offer insights on how you can better manage the exam and audit process and will hone in on the regulatory guidance for assessing the management of unique and hard-to-value assets and other regulatory issues. As companies ask their employees to take more risks, fight against legacy experiences, innovate at every turn and anticipate the future, courage is becoming an ever more critical leadership and job skill. In this popular, deeply researched and highly entertaining talk, Cindy shares the learnings of over 8,700 interviews about courage, leadership, and success within our ever-changing corporate cultures. She helps audiences understand and identify their unique type of courage - sharing not only the information but the skills every leader and individual needs to know to “build their courage” and create teams that communicate, innovate and improve with every experience. This session features a panel of senior bank regulators who will discuss new and proposed rules and the latest “hot button” compliance issues. Bring your questions and don’t miss this chance to gain insights that could help in your next exam. You hear the term often, yet most people don’t understand what truly happens when a hacker breaches their infrastructure. This program explains the various ways Hackers, “Hack”. This program is designed to be an easy to understand explanation of the technical and non-technical methods used by hackers, and what you need to do to protect yourself and your company. SIEMs, SEMs, SOCs and Security. The managed service provider becomes even more important as we outsource the ever-evolving process. What quality controls should be in place? What due diligence should we be performing? These are two of five issues we’ll discuss as we open the hood of the managed security service provider, in an attempt to help bankers realize what happens when they outsource technology risk monitoring. Consumers are no longer loyal to traditional banking providers, and nimble competitors are rushing in to capitalize on this weakness. With millions of users, digital innovators like Venmo, Square, and PayPal are redefining banking experiences and changing the way consumers shop for and acquire financial services. This session will explore the intersection of mobile UX and financial retailing. Attendees will see live demonstrations of new digital tools from fintech disruptors that are reimagining every aspect of banking and winning the battle for Millennial customers. Learn how to respond to new consumer behaviors and changing attitudes about traditional banking products and see how financial services should work in a modern world. This high-energy presentation focuses on money-making and business development ideas from the best community banks across the country. These ideas will increase revenue, increase contacts, and generate more referrals for your key business units. We will introduce you to fifty easily implemented ideas that will help produce the best opportunities this year. This session will challenge you to think differently about the ways you reach customers and prospects and drive additional revenue. This presentation identifies the resources and development activities required to support a bank-wide relationship building process. Basic business development and call programs are not enough. Expanding relationships with trust and wealth management services must be supported by companywide activities. Product knowledge, combined with leadership, performance goals, data management and sales skills will produce enhanced results. Whether your bank has an active relationship development program or not, you will want to attend this informative presentation. You will hear about proven tools for designing and managing successful relationship activities and receive materials and forms to help improve your trust and wealth management relationships. A proper complaint management system can be one of the best tools a bank has to refine its operations. Not only can complaints point out areas where an institution can improve customer satisfaction, but they are also an indicator of risk exposure. This session will explore CFPB hot topics for 2019 and what is scalable for community banks, focusing on UDAAP, ODP and elder exploitation. We will talk about how examiners investigate complaints and employ them during risk-focused supervision. Bring your questions and get some answers during this interactive session. As banks continuously evolve to remain relevant for their customers, the best boards realize that they must change, too. These boards: focus on strategic thinking first and foremost; regularly recruit, renew, and refresh their board membership; and, constantly look to innovative governance practices from the for- and not-for-profit sectors. Learn some of the most effective board dynamics, from contemporary bank models, as you seek to ensure your owners and customers have the best and most pertinent representation and leadership for their bank. This session will address how growing community banks are changing the way they do business to account for the digital transformation occurring in the banking industry today. We will discuss why community banks are looking to fintechs for assistance and the best practices for successful fintech partnerships. The conversation will touch on the need for cultural transformation, personnel needs and challenges, what role innovation plays in the bank’s strategy and the need for new solutions and external assistance. We will focus on what the future of banking looks like, and how emerging technologies will play a role in the bank going forward. We will highlight the growing competition in the space and provide resources to assist with the innovation and fintech partnership process. Branches, ATMs, ITMs, contact centers, LPOs, online, mobile...where does it stop?! How do you know when it’s not enough, and how do you know when it’s too much? We’ll explore tips and tricks around the evaluation of the bank’s current channel structure and how to create a roadmap to help plan for the future of retail delivery. With the increasing number of informal credit sources for businesses, financial institutions need to focus on unique ways to obtain and retain business clients. In this session, learn how to make your merchant services program the catalyst in attracting new, younger businesses and the foundation on which to build trust, savings, and a stronger relationship with your customers. The 2019 Session of the Indiana General Assembly is tackling several bills that, if enacted, will impact your trust business including legacy trusts, electronic wills, an elder abuse registry, changes to ABLE Accounts and supported decision making. This session will cover the latest wealth management and trust developments in Indiana including effective dates and possible implications for your institution. 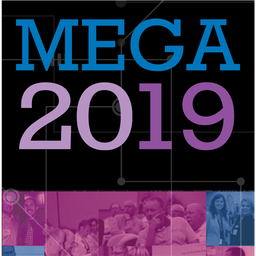 Back by popular demand, the Mega Celebration brings attendees together in the exhibit hall with food, drink and entertainment immediately following Wednesday’s sessions. This event is open to all registrants and is the perfect time to visit with old friends, make new acquaintances and peruse the latest in bank products and services offered by our exhibitors. This reception is for FLD current members as well as those interested in joining. Competing in the current environment requires community banks to seek opportunities to be faster and more efficient. Technology is available to automate processes, but improving commercial loan processes is about more than just technology. In addition to new systems, it involves rethinking processes, job roles, expectations and portfolio risk management. This session will highlight changes that progressive community banks have made to automate and streamline commercial lending, and give examples of success. Traditionally organizational charts have been in the form of a pyramid, with the CEO, or leader at the top. But times have changed and for some, so has the organizational chart. What if we view the organizational chart not as a typical pyramid, but as an inverted pyramid, with the CEO at the bottom, balancing the rest of the organization on the pyramid’s point? This presentation focuses on the inverted pyramid and why it is more realistic. Topics include the importance of teamwork, key traits and finding your focus. Attendees will leave with a fresh perspective on how they can impactfully lead from any position in the pyramid. Over the past decade, the role of ALCO at many community banks has changed. With record low rates for extended periods of time, core deposits were growing, and many more community banks began outsourcing asset/liability management reporting. Rising interest rates and strong economic growth have created more balance sheet funding challenges for community banks with the competition for core deposits heating up. In this session, we will discuss key topics that community bank ALCOs should be discussing with themselves related to balance sheet funding, interest rate risk, and generally why it is important to have ALCO engagement. The #metoo era began as an effort to affect Hollywood, but its impact has been felt in every segment of the American culture, including every workplace. Why is harassment still such a significant problem after 30 years of anti-harassment training? Why have the number of harassment claims actually gone up? Our presenter will explore how lawyers have caused the issue to still be as prevalent today as it was 30 years ago and what can be done about it…if we are willing to think about anti-harassment training in a new and different way. This promises to be an energetic, thought-provoking and engaging session. You know your consumer base—down to their most minute needs. But how well do you know your commercial customer? What are their wants and must-haves in a financial-service provider, and how can you best communicate with them? We’ll walk through ways to get across to your community and regional business leaders and how to make your commercial lending division one to reckon with. Regulators insist they don’t want you to derisk. If you do decide to take on potentially or actually higher risk customers, what specific steps or processes are needed to appropriately manage the AML/CTF risks? What should the risk/benefit result look like? What can we learn from others who have gone before us down this tricky path? Humans thrive when we are included, valued, learning, and contributing in meaningful ways. We thrive when stress and conflict is productive. But thriving is not a solo job. Our success personally and professionally is directly impacted by the quality of our relationships. We build relationships one conversation at a time and each conversation will impact our level of trust. The problem is most of us spend our time on autopilot, responding from a place of habit and our brains are naturally wired to protect us. Leveraging bold, new research on the neuroscience of trust, this session will introduce the audience to the practice of Conversational Intelligence® and provide practical tips for creating more powerful relationships through conversation. Managing average costs will never help you minimize the cost of funding your balance sheet in a flat or inverted yield curve. You must manage your marginal cost of funds in order to optimize interest expense savings! But, managing deposit costs is more than just pricing. It requires the retail tools of market segmentation and product differentiation in order to price rate sensitive vs. non-rate sensitive customers. This session will show you how to segment customers, differentiate products and optimize interest expense savings. We’ve watched business culture shift from the world of AMC’s Mad Men TV series to the #MeToo movement, leaving many people afraid, nervous and skittish that somehow, they too have said or done something inappropriate. The result? A workplace fraught with insecurity over the smallest things. This session moves beyond sexual harassment training and focuses on creating culture-changing conversations about what each of us can do to create healthy, dignified cultures for all employees. How do you know if your digital marketing efforts are actually working and providing a positive ROI? Now that digital campaigns are able to track activity for optimization and enhancement, many community bankers struggle with how to interpret all the data available to measure success. This session will review the digital strategy framework, essential tools and metrics and give real examples of ROI in action to help you benchmark your bank’s digital efforts and optimize for success. Credit unions continue to acquire banks and bank branches, but many smaller credit unions are struggling to compete in today's environment. Bank acquisition of a credit union should not be overlooked by institutions needing to right-size to compete. Learn about the NCUA regulations and other issues before your next M&A consideration. A blueprint for getting the most out of life, Enjoy The Ride™ is a hilarious and brilliantly conceived message that causes people to examine where they are personally and professionally. It lifts people up and inspires them to evolve and appreciate, rather than simply maintain and exist. Join Steve for a reminder that If you want to achieve true success and fulfillment, you must first discover an enthusiasm for your work and personal life. Decide where you are heading, get on the bus, choose the right seat and Enjoy The Ride™! SBA lending is one of the key lending activities that can quickly and dramatically improve the bottom line of a community bank. Some banks are reluctant to pursue SBA because they have heard stories of the denial of loan guarantees and that the loan process is too time consuming and complex. This discussion will feature experts who will help you increase the profitability of your SBA department, including tips for maximizing your related staffing and cost structure. We know a polished, professional presenter when we see one, but we often assume their charisma and skills are in-born or beyond our reach. However, research shows there are specific things good presenters do to show off their presentation prowess. Join us as we discuss and practice ways to develop tangible skills that will give your more confidence as you present, including: handling nerves, using non-verbals to your greatest advantage, and charismatically connecting with audiences of 3 to 300. As the US economy moves through its 10th year of expansion, balance sheet trends, performance data, and market conditions are beginning to exhibit classic late-cycle behavior. This session will look at the banking landscape in terms of interest rate risk and investment management strategies that make sense in the current environment. The effects of a flattening yield curve, rising cost of funds, and competitive constraints on loan pricing will be examined. We’ll consider helpful tools, resources, and techniques that can make risk-management and security selection decisions easier for bank managers. Lastly, we’ll discuss best practices with respect to funding and liquidity risk management, a topic that continues to be a high point of focus for bankers and regulators alike. Understanding and using emotions correctly can make you a better communicator and, ultimately, more effective in your job. This session will discuss strategies to increase your emotional intelligence and how to translate that into knowledge for better decision making. How much time and energy is your ﬁnancial institution currently spending on social media? You may be wondering whether this is the best use of your team’s time. If you’ve asked yourself these questions, if you’re just getting started, or if you’re planning on ramping up your social marketing efforts this year, this session will provide the best approach to take based on your needs, plus tips and ideas to get you started. The regulatory environment is rapidly changing. A new regulatory relief bill has just been signed into law. As new leaders take the helm at the federal banking agencies, the focus is shifting more toward risk management and corporate governance practices. Listen to a former senior regulator candidly discuss these changes and how to focus your resources to be prepared for your next examination by focusing on the four pillars of effective risk management. Items to be discussed include a new regulatory focus on funding risks, asset quality, CRA, and stress testing. The current environment of agricultural economics is presenting special challenges for agricultural finance. What lessons were worth learning from the 1980’s, and how can they be used to navigate through the current challenges? What is the impact of margin compression in the industry on the individual farm client and broader agricultural portfolio? This session will discuss the latest trends in the industry and best practices for meeting the current challenges with your clients. We will also address issues and opportunities with respect to the administration of the portfolio. This session will cover hot topics, issues and trends in accounting and reporting including updates on the standards for revenue recognition, leases, CECL and recognition & measurement of financial assets and liabilities. We will cover the tax highlights of TCJA now that there is full implementation and better understanding and highlights of the OCC Bank Accounting Series. Most people do not wake up asking themselves, “Gee, how I can be a barrier to success today?” We can all agree we want to know “How do I create impact?” While there are barriers to that goal we know exist, the real problem is that we get caught in the land of good intentions. Yet we believe that having good intentions is not the same as being intentional which is why we have to close the gap between our intentions and impact. How? By deepening our awareness of the internal and external factors that contribute to our impact. You’ll leave with real, relevant insights for professional and personal growth, and practical applications to move from the land of good intentions to powerful impact. The key to successful marketing and branding is being relevant to the marketplace (customer). However, the marketplace has gone through dramatic changes and has resulted in a totally new paradigm between corporate America and the customer. Therefore, what are the characteristics of this new marketplace, what is important to the customer today and what does the new customer path to adoption look like. Understanding the new marketplace and the new customer will allow your bank to better position itself for greater success. Marketing the way the bank has always been done will no longer be effective today. If your vendors are labeled or classified solely by dollar amount, you may be in for a surprise. The amount you spend on a vendor, may not correlate to the risk that vendor poses to your institution. There are many factors that you have to consider when labeling a vendor; such as GLBA Information, the financial and operational effects on the institution if the vendor were unable to provide services, and the ability to replace a vendor, which should be included in your third-party risk management policy. All vendors are not created equal. It’s easy to try to categorize them using broad terms, but that may be too vague to be effective. This session will help you with best practices for classifying vendors within a comprehensive management policy for your third - party risk program.